Commentary on developments in UK and European patent law. The subject of artificial intelligence (AI) has been of interest for a long time, basically ever since computer technology was envisaged to eventually replicate what could previously only be done with the human mind. Along the way, various tasks that would previously require a human mind have been replicated by computer. Examples that are now considered mundane, or at least well known, but not so long ago would be beyond the capacity of computer technology, include optical character recognition, voice control, machine translation and computer vision for self-driving cars. These technologies are continually changing our working and home lives, and will continue to do so for the foreseeable future. 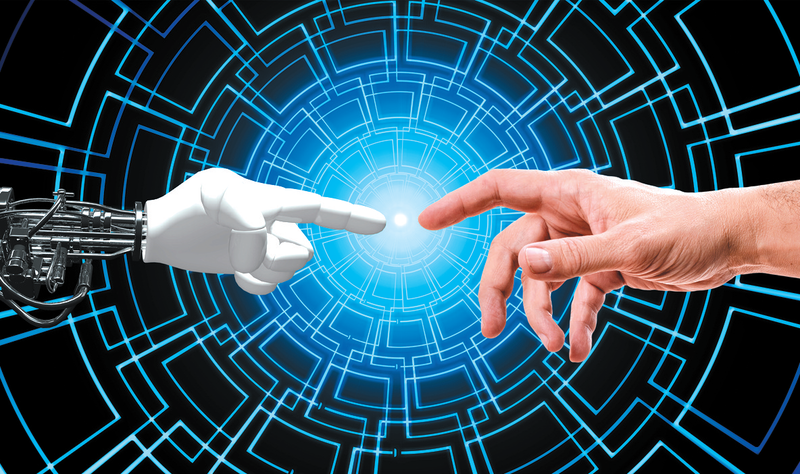 There is a question as to whether any of this can really be considered AI at all, as there is no suggestion that a conscious computer such as HAL9000 is going to arrive any time soon. For the time being though, the term AI has been applied to many different areas of computer-implemented technology, and of course there is a question of how, or even whether, this technology can be patented and, if it can, what can be done about it. Dominik Bauer, Senior Manager, Audi AG, on License options and injunctions. The Round table is divided into three sessions. 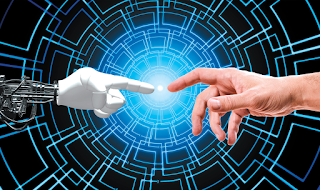 In the first, an overview of inventions made in different Industry 4.0 fields will be provided (such as smart objects, AI, IoT), with specific aspects of patent applications in new technologies in grant proceedings at the EPO discussed. From the industry perspective, we will hear about patenting strategy considerations, and approaches to obtaining and licensing valuable patents. In the second session, presentations will address the issue of ownership of IP rights when the author is a learning machine, along with new parameters for infringement and validity assessment, and cross-border issues. Experienced judges will discuss procedural challenges, new dispute resolutions and decision making processes involving new technologies from the administrative and judicial perspective. In the third session, licensing options and their legal framework in the field of new technologies will be discussed, and in particular the specific challenges ETSI is facing with the improvement of SEP declarations and their impact on FRAND negotiations. From an industry perspective we will hear about the applicability of equity principles in context with injunctions and respective license strategies. Although there is a packed programme, there will be time during and after the sessions for questions and answers, and plenty of time for further discussion and networking in the lunch break afterwards. The full programme, including registration details, can be found here, as well as via the UNION-IP website. More about HAL9000 here, more about why computers may, or may not, become conscious here and here. 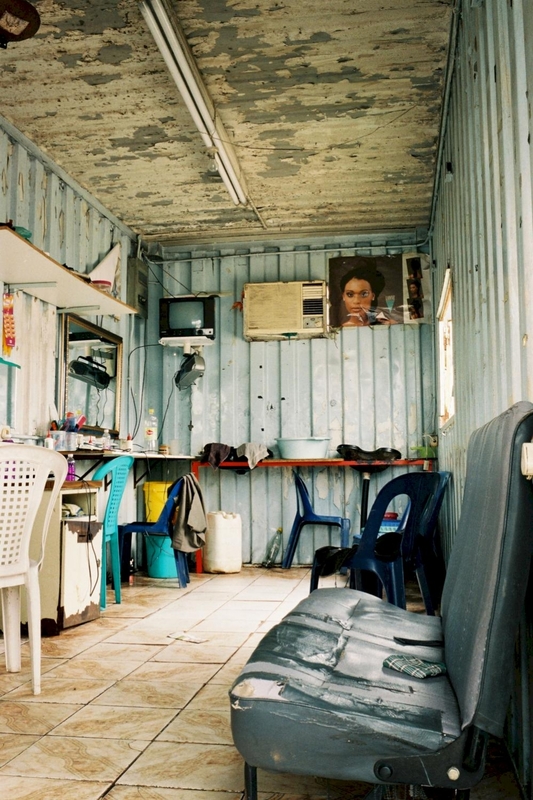 A Patent for a Hairdressing Salon in a Shipping Container - Really? 1. A hairdressing salon (1) comprising at least one styling station (3), which is embodied in a room (5), wherein the room (5) is arranged in a mobile structure (7), which can be displaced by means of a lifting tool, characterized in that the mobile structure (7) has at least one window (13). in a repurposed shipping container. Anyone remotely familiar with patents would immediately recognise that the claim, which effectively defines a hairdressing salon in a shipping container, would have fairly obvious validity issues. Even if nobody had thought to repurpose a shipping container in this way before (which on the face of it sounds implausible), there would be a question to be asked about what particular technical problem the invention solved that was not obvious. The claim therefore seemed, even before doing any kind of search, either not novel or lacking inventive step. How it got through the EPO's examination system, with the examiner not really finding anything of relevance and then allowing the application on the basis of the characterising clause being to add a window, is a mystery (at least to me), and is unfortunately something we will probably never find out. As I wrote in my previous post about the patent, I did a quick search for prior art (taking no longer then 5 minutes) and found something that seemed to me good enough to knock out at least claim 1 for lack of novelty. The prior art I found is available here, from which I have copied the most relevant photograph. The webpage refers to a book that was published in 2011, which has all the photographs in. There was therefore no doubt that the photograph, described on the webpage as a "Boyz & Girlz Salon (in a shipping container)", was available before the August 2012 priority date of the patent. Being a bit annoyed that something so obviously invalid could get through the EPO's supposedly high quality examination system, and also a bit of a fan of the UK IPO's opinions service, I thought I would have a go at seeing what a UK examiner thought of the patent. After waiting for the opposition period to expire (I wasn't going to file an opposition, given the high fee and the long wait for a result), I prepared and filed a quick request for an opinion on validity at the UK IPO, using selections from the book as my prior art. A couple of days ago, just short of the usual 3 month timescale after filing the request, the opinion issued. In brief, the examiner agreed with me on every point and found all of the claims to be invalid, either for lack of novelty (as in claim 1) or lack of inventive step. The only claims that were found to be novel were those that added a staircase to access the walk-on roof (claims 7 & 8), which were unsurprisingly found to be lacking in inventiveness. As a result, the patent was found to be entirely invalid. It is a little disappointing that the patent proprietor decided not to file any observations in reply to the request, but since they had failed to pay the latest renewal fee it seemed they might have already lost interest in it, or had perhaps discovered after getting it granted that it didn't stand much chance of surviving any attacks. The request did provoke observations from another quarter though, from someone calling themselves "The Patent Labrador". Unfortunately, these observations could not be taken into account by the examiner as they raised new issues that were not mentioned in the request, although they were mentioned in the opinion as having been filed, by "an anonymous observer". Perhaps the Labrador needs to have a look at Rule 96 before having another go. Along with proving a point that was previously only made by me in a fairly obscure and esoteric blog, this little exercise has shown how easy, and potentially quite powerful, it can be to get something on the public record relating to an invalid patent that would make anyone wanting to enforce it think very hard before doing so. Regular readers of this blog will, of course, already know that this is not necessarily the end of the story. The next step the UK IPO can take is to initiate revocation proceedings under section 73(1A), provided they agree with the examiner that the case is sufficiently clear cut. If, as I suspect, the proprietor does not contest the opinion, my guess is that this patent will, in due course, be got rid of in the UK and will, in effect, never have been granted, which is of course what should have happened in the first place. A couple of years ago I was invited to attend a UNION-IP meeting to speak on what was then the hot topic of partial and poisonous priority. I reported on the event (which was very well attended) in a post at the time here. 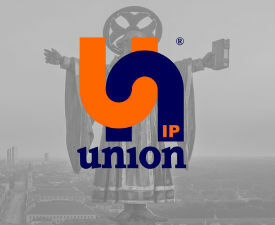 UNION-IP, who have since made me Vice President of their Patents Commission, hold these events at around the same time every year, choosing a different topic to discuss each time. This time around the topic is indirect infringement. The general idea, as always, is to gather views on how things are approached in different European jurisdictions so the audience can get a clearer picture. 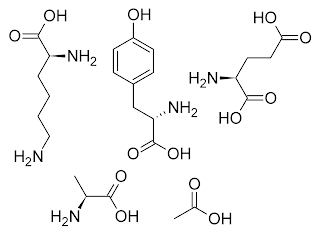 As the UNION-IP website states, it is a challenge to provide patent protection for parts, components, and consumables, such as used in coffee machines, printers, cars, and as ingredients for pharmaceuticals. Indirect infringement might be the solution for the patentee. However, this is complex, and is interpreted differently across Europe. This half day Round Table will examine questions relevant to drafting or litigating a patent, and will discuss the situation in the UK, Germany and Italy and elsewhere, as well as touching on how things might change if/when the UPC comes into force. The speakers lined up for the event, which is to be held at the German Patent Office in Munich on Friday 23 February 2018, include Dr Klaus Bacher, Judge at the Bundesgerichtshof (German Federal Court), Silvia Vitrò, President of the IP Specialized Court of Turin, Mr Justice Sir Henry Carr of the English High CourtSir Robin Jacob, Florence Jacquand of Véron & Associés, and Gabriele Mohsler of Ericsson. The event should prove to be very interesting and informative, and will hopefully give attendees a good picture of how this topic, which is far from being unified across Europe, is dealt with in different jurisdictions. I hope to be present myself (although I won't be speaking this time), and look forward to seeing plenty of people there. As will now be well known to all patent practitioners, at least in the UK, the Supreme Court's judgment in Lilly v Actavis has changed the law quite radically on claim construction. Rather than just applying a general test of what the skilled person would understand the patentee to have meant, as outlined by Lord Hoffmann in Kirin-Amgen, it is now the law in the UK that due account should be taken of equivalents, in line with Article 2 of the Protocol on the Interpretation of Article 69 EPC. This has brought the law in the UK into line with that in other European countries, in particular Germany, where equivalents have been a feature since at least the 1980s. What was not addressed in Lilly v Actavis was how this change in claim construction would affect how novelty would be assessed. Could it be the case that a claim could be considered to encompass equivalents that were in the prior art? How would the Gillette defence work in this case? Would novelty be assessed in relation to the prior art and its equivalents, or would the equivalents be a matter only for inventive step and not novelty? Some of these questions were considered in the judgment of Mr Justice Arnold in Mylan v Yeda, which issued yesterday (26 October 2017). The case, relating to EP2949335B1, was about a medical treatment claim, where the claimed invention defined a regimen for treating multiple sclerosis involving three injections of a 40mg dose of glatiramer acetate weekly, with at least one day between each injection. 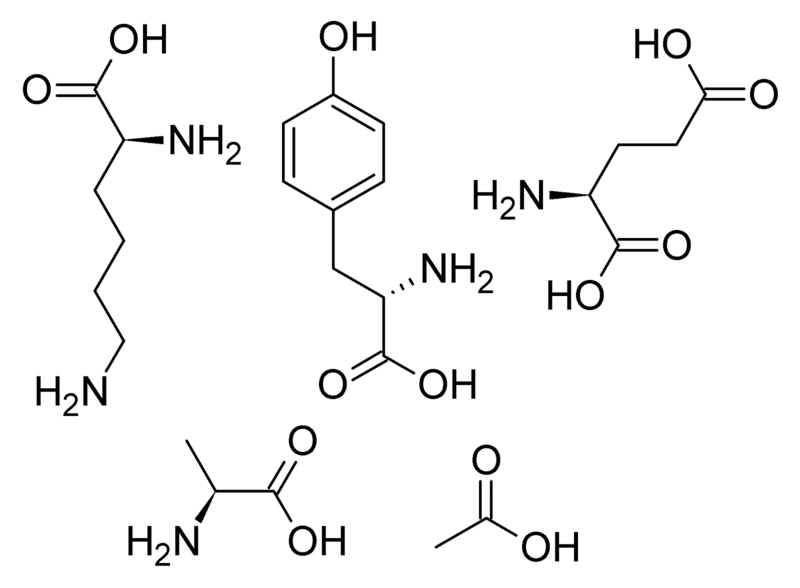 The primary piece of prior art (termed Pinchasi), disclosed treatment of the same condition using the same compound at the same dose, but administered instead every other day. This would, of course, result in the patient getting injections that alternated between three and four each week. The question was then whether following the treatment disclosed in Pinchasi would inevitably infringe the patent. Mylan argued that "it remained the law that a claim lacked novelty if the prior publication disclosed subject-matter which, if performed, would necessarily infringe the claim. Even if the subject-matter would not fall within the claim on its proper interpretation, it was sufficient that the subject-matter would infringe the claim applying the doctrine of equivalents. Otherwise, a claim could be infringed by a person who did exactly what the prior publication taught, yet the claim would be novel over that prior publication" (paragraph 162). Yeda, however, argued that "it was no longer the law that a claim lacked novelty if the prior publication disclosed subject-matter which, if performed, would necessarily infringe the claim. Rather, the claim would only lack novelty if the prior publication disclosed subject-matter which fell within the claim on its proper interpretation. It was not sufficient that the subject-matter would infringe the claim applying the doctrine of equivalents" (paragraph 163). In deciding which one was correct, Arnold J referred to section I.C.4.5 of the Case Law of the EPO Boards of Appeal, which cites several cases that decided that the disclosure of prior documents did not include equivalents. Equivalents should instead be considered under obviousness. Arnold J then concluded that Yeda was correct, although didn't say whether this meant that anticipation by inherency (as in Merrell Dow v Norton) was no longer the law. I suspect that he did not mean to go this far, but intended it to only mean that equivalents were not to be considered under an assessment of novelty. Just in case he was wrong on the novelty point, however, Arnold then went on to find that, if it were legally possible for a claim to lack novelty by virtue of the doctrine of equivalents, it would lack novelty over Pinchasi. What was not considered on the novelty point, but seems to me to be fairly important, was whether the claim language strictly limited the regimen of three, and only three, injections every week. This does not seem to have been argued by either side, nor was it considered in the section on claim construction (paragraphs 140-143). Claim 1, at least on my reading, does not limit the number of injections per week to only three, but defines it as three injections every seven days, with each injection separated by at least one day. This would, in my opinion, also encompass an injection every other day, even though this would result in four injections every other week. Any question of whether the doctrine of equivalents would need to be used to assess novelty would then be irrelevant, as the prior art would clearly fall within the scope of claim 1. In the end, Arnold J found that the claimed invention was obvious over the prior art anyway, given that one fewer dose every two weeks would probably not make much difference and it was obvious to try a regimen with three per week instead. The patent was therefore found invalid, but perhaps not for the right reasons. If this goes any further, which Arnold J suggested that it might (and I suspect it will, given the very large sums of money involved), perhaps there will be a reassessment of whether the decision on novelty was really properly thought through. The decision in G 1/15 issued earlier this year (reported by me here), confirming that partial priority was allowable for claims that encompassed an earlier priority application. This finally and emphatically killed off the idea of poisonous priority. For the application in question that led to the Enlarged Board referral, however, this was not the end of the story. The application, EP98203458.9, in the name of Infineum UK Ltd., was granted in 2010 and opposed by Clariant Produkte (Deutschland) GmbH. One of the grounds of opposition, which eventually became the sole remaining point on appeal, was that granted claim 1 was not novel over the patent's own priority document, as a result of it not being entitled to priority. This resulted in a referral to the Enlarged Board, which decided: "Under the EPC, entitlement to partial priority may not be refused for a claim encompassing alternative subject-matter by virtue of one or more expressions or otherwise (generic "OR"-claim) provided that said alternative subject-matter has been disclosed for the first time, directly, unambiguously and in an enabling manner in the priority document. No other substantive conditions or limitations apply in this respect". The implication of this was that claim 1 did have a partial priority right to the earlier narrower disclosure, which did not therefore become novelty destroying. The Enlarged Board then referred the matter back to the lower Board of Appeal to decide on the point in question. The Board of Appeal have now issued their further decision in T 557/13. This confirms that the only novelty objection was in relation to whether the granted claim 1 was entitled to partial priority. In light of the decision in G 1/15 the priority document could not be novelty destroying, since the effective filing dates for that subject matter were the same. The Board of Appeal noted that inventive step objections that had been raised by the opponent were not dealt with under appeal, and therefore decided to remit the case to the Opposition Division for further prosecution. The case, which has now been going for just over six years, will now have to go on a bit longer still before it can be finally settled (even though the patent finally expired in June 2015). I wonder how much longer the case can be drawn out, and if it will go yet again to the Boards of Appeal after the Opposition Division decide on the remaining inventive step points. "Person A builds an AI system for identifying the best material to use given a series of input parameters relating to a particular engineering context. Person B takes the system and uses it to search for the best material to use in the design of a tail fin for an unmanned aerial drone. Person C then looks at the three potential options identified by the system and decides to file a patent covering the use of the third material for tail fins in unmanned aerial drones, as they recognise that it will have particular technical [benefits]." The question is then who is the inventor? An answer is not given in the article, which simply states that a court or patent office would need to decide who was entitled to be named. This to me seems to miss an important point or two, as well as being a bit of a cop-out. Firstly, let's say the invention is about the use of a specified material in a tail fin for an aircraft (why it has to be an unmanned drone is not clear to me, so let's leave that aside). The inventive concept, given that tail fins for aircraft are known, is the use of the specific material. Person A has devised a system for identifying a material given a series of inputs. By itself this has nothing to do with the invention, so this person can be discounted as being the "actual deviser of the invention" (section 7(3), UK Patents Act). Person B has plugged some numbers into the system created by person A, and the system has output some candidates. Person B has not arrived at the invention, but if they had the thought of using the AI system to search for candidate materials they might be considered to be a joint inventor. This is similar to the concept of the skilled person being different for devising the invention compared to understanding the invention, something the case of Schlumberger v Electromagnetic Geoservices was concerned with. It is not clear from the example, but if person B had the idea of using the system to search for a candidate material, this connection could form at least part of the invention in the same way that the idea of connecting two separate technical fields to arrive at a new combination could be. Person B might, however, have been acting on orders from someone else, in which case another person might get involved. Person C is the clearest one for being an (if not the) actual deviser of the invention, since they come up with the material on which the claimed invention is based. They should be a named inventor. The solution to the problem is actually not really anything to do with AI. That might be to do with the example being a poor one, but it might also get to the point of whether an AI system can ever be considered to be an inventor if it needs to be given an input to provide a desired output. If an AI system can truly think for itself, it would not necessarily be possible to trace the particular input that generated a particular output (it might have been lots of different inputs, as would be the case for a human inventor), so identifying an inventor could prove more problematic. At the moment, however, as far as I am aware such a system does not exist. A final point about the AI system in the example is also worth considering. What the example does not say is whether the AI system is publicly known or is secret. If the system is already known, the technical problem to be solved becomes how to select a material for a tail fin, to which at least part of the solution becomes obvious: ask the computer. Whether it would be obvious to select one material from three is another question. In some cases it might be. Perhaps the lesson at the moment is that we are not yet in a position to even think clearly about whether an AI system can really be the actual deviser of an invention, for the simple reason that AI does not really exist yet. If it ever does (and, if Roger Penrose is correct, it might never happen), so many things would change that the question of deciding which entity is entitled to a patent may become insignificant. UPDATE 22 June: For further reading here is a recent journal paper that goes over the points raised here, along with many others, and in a lot more detail. A few apparently unconnected things I noticed over the past few weeks made me think about a theme connecting them. In short, how can we tell whether a patent is good or bad? The first thing I spotted that made me think of this was an article on LinkedIn, which argued that the patent system suffers from an "expert service problem", where the situation is too complex for the non-expert to understand. This results in, among other things, a lot of poorly drafted patent applications that are too narrow and effectively worthless from a business perspective. This may be true, but the immediate question I had was: who gets to judge this? Just because a patent ends up being granted with narrow claims doesn't mean that it is worthless, nor does it mean that it was necessarily badly drafted. Often it is just that this is all the applicant could have reasonably expected to get. Provided the patent at least covers the invention that is being commercialised, together with any obvious variants, that would normally be a fairly good outcome. One can always do better, and in my view it is always better to get the applicant to properly understand at least claim 1 when the application is being drafted. This takes bit of education, and doesn't necessarily happen straight away but, once your client is on-board with how claims are constructed and what they mean, there is much less of an expert service problem, because the client understands enough to know what they are paying for. A problem with judging after the fact (ex post facto, as the EPO would call it) is that a patent could be considered poorly drafted in hindsight, but this doesn't say anything about how things could actually have been done differently from the outset without that hindsight knowledge. This leads me on to a couple of examples where there could be at least questions raised about whether a patent was well drafted, but in each case looking at the patent alone misses the point. The Juicero press, with juice pack in place. Image source. a seal associated with the outlet, wherein the seal is adapted to open above a pressure threshold, and wherein the extracted juice flows through the outlet to outside of the juicer cartridge. Although the claim seems to be fairly narrow, it certainly covers the basic essential requirements of the Juicero pack, and would make it hard for a competitor to make a compatible pack without falling within its scope. The claim therefore seems to do the job, in that it serves the purpose of preventing others selling the same juice pack without infringing. Getting a patent, however, is not enough. The business also needs to be viable. To justify their very large investment, Juicero would need to get lots of people to buy a machine and then buy, and keep buying, their juicing packs. This is where the problems seem to start. The first problem is that the juicing machines are very expensive. A breakdown of a machine here explains why this is. The main reason seems to be that it is extremely over-engineered. The basic job of the machine is just to apply pressure to a bag, but the machine has been engineered with all kinds of extra features that appear to be superfluous or just totally unnecessary. The machine would need to be very much simplified to bring the price down, unless Juicero try to sell the machines at a loss to encourage users to buy the juice packs. This, however, is where the second problem starts. According to an article on Bloomberg, two investors in the company were "surprised" to find out that the company's own juice packs could be squeezed by hand to get practically the same result in terms of the amount of juice out of the pack, apparently making the press entirely unnecessary. This caused a great deal of fuss, resulting in lots of mocking of the company and their investors, and prompted Juicero's CEO to issue a statement arguing for the advantages of the company's products. Possibly the most ridiculous argument justifying the machine was that the "closed loop food safety system allows us to remotely disable produce packs if there is, for example, a spinach recall". This refers to the ability of the machine to read a code on a juice pack and, since the machine is connected to the internet, decide whether the pack is a good one. As far as advantages go, stopping the consumer from using the product is not much of one. In any case, if the machine refused to press a pack, the user could always just squeeze it by hand. 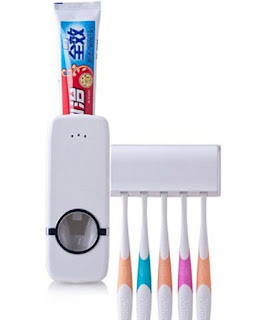 The only real advantage of the machine seems to be about the same as that of an automatic toothpaste dispenser (see picture), which can be bought for much less than $400 and, of course, can use any toothpaste tube. In this case therefore, while the patent claim seems solid and would serve the purpose asked of it, the business model seems to be fatally flawed. I would be very surprised to see Juicero surviving long enough to justify its apparently very high price. in the cell formed position, the cells comprise side walls (102, 103) and an end wall (104) to enable bees to fill the cell with honey, and in the cell open position, at least some of the side walls (102, 103) have moved apart, for removal of the honey. Flow Hive extraction pipe (source). Again, the scope of the claim seems on the face of it to be quite good, and covers the key feature of the invention. 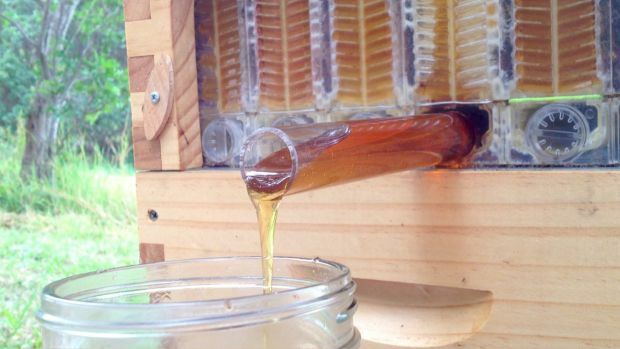 A measure of how good the invention is though is that Flow Hive is already facing potential competition from another company, known as Tapcomb, which seems to be developing a very similar hive. Flow Hive say that this would be an infringement (although it seems to me to be impossible to tell without details of the competitor's hive construction), and are already indicating that they will enforce their rights against infringers, which you would expect them to. Both Flow Hive and Juicero have patent protection that would cover their core business model, but this is where the similarities end. While Juicero have patent protection for their juicing packs that is aligned with the business model, it seems very unlikely that anyone would want to bother infringing (UPDATE: It seems I was wrong on this point. 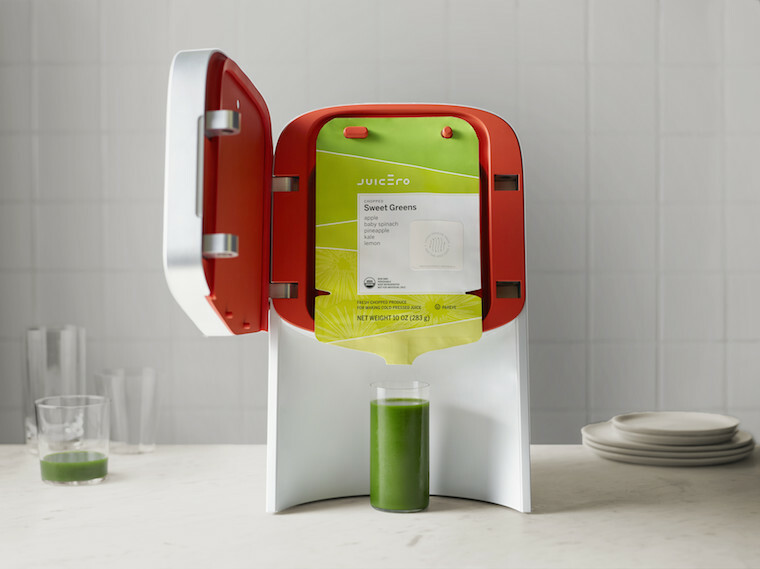 Juicero are tackling a Chinese company selling a system apparently very similar, although the extent to which this is really a patent infringement case, rather than passing off, is not clear). Flow Hive, on the other hand, have patent claims that protect their product and the product is apparently so good that others are already wanting to copy it. Provided their patent protection is sufficiently strong, they should be able to stop infringers and be able to build up their business that they have already put a lot of effort and money into, demonstrating the whole point of having a patent system. In conclusion, while it is important that any patent you seek to get for your product is properly prepared and prosecuted, it is also vitally important to have a viable business proposition. A patent that covers something that nobody wants to buy is of course ultimately pointless. A patent for a product that others want to copy is clearly much better. While it seems fairly easy to see from these two examples which is which, this is only really possible with a degree of hindsight. Going back to the question I posed at the beginning, it really isn't possible in most cases (although there are of course exceptions) to tell whether a patent is good or bad, at least not without seeing the wider context. Tufty the Cat is the nom de chat of UK and European patent attorney David Pearce (LinkedIn profile). Anything written by Tufty should not be taken as constituting legal advice, and no responsibility is taken for anything you might do as a result.